In a troubling move, US President Donald Trump has nixed Israel’s medical cannabis export hopes. The prime minister made it clear that he did not want Israel to be a pioneer in the export of medical marijuana in order not to anger the U.S. president, according to the report. While commonly ignoring any American request to stop building settlements on Palestine land, in this case, the Israeli Prime Minister was quick to comply. Netanyahu told the heads of the ministries he ordered the freeze after receiving a call about the issue of exporting marijuana from Trump, who is against its legalization. Perhaps the most troubling aspect of this development is Trump’s apparent active opposition to medical cannabis. Of course, Attorney General Jeff Sessions nourishes a great hatred for all things marijuana and the others in Trump’s cabinet are extreme in opposition to cannabis, the President himself has said little about the plant. During his campaign, Trump expressed support for medical marijuana and for the rights of states to choose. His comments about the drug war have been extreme, even praising the homicidal actions of foreign leaders, but has so far not demonized cannabis. 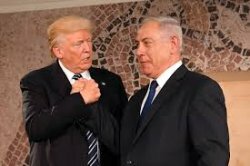 How did the notion come into Trump’s mind to request that Netanyahu stifle shipments of medical cannabis? It seems unlikely that he came up with the idea himself. The fact that Trump apparently personally made a phone “call about the issue” would seem to indicate its importance to the President. Unfortunately. In any case, Trump’s actions, far more than any that have come before, show him to be actively opposed to cannabis, its medical uses, and its value to commerce. Interest in cannabis liberation extends back to the 1960s for Don Fitch. Most of his career has been in high tech and preventive health care, endeavors he continues with Well-Being Skills, focused now on ebook publishing. Don has always followed and contributed to efforts for ending marijuana prohibition. An Oregonian whose vision is endangered by glaucoma, Don has benefited from his state’s 1998 medical cannabis law, and his eyesight is fully preserved. 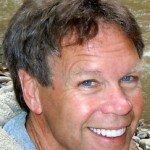 Don has been writing about cannabis and well-being since 2008 in his blog, www.YourBrainOnBliss.com. This site explores the bountiful health benefits stemming from the discovery of the endocannabinoid system and increasingly legal medical cannabis. The impact of these discoveries, and the use of marijuana in prevention and treatment, may be as important to health care as were the microelectronic discoveries Don wrote about in the early ’80s were to our on-going technological revolution. His major goal, still frustrated after decades, is to see cannabis down-scheduled from Schedule I at the federal level. For fun, Don flies paragliders and travels. Legalization Crashes Weed Prices. That’s Why Pot Growers Oppose Marijuana Legalization.